The captain was subsequently ruled out of Tuesday's friendly against Morocco, completing the latest chapter in what has sometimes been a difficult international career. 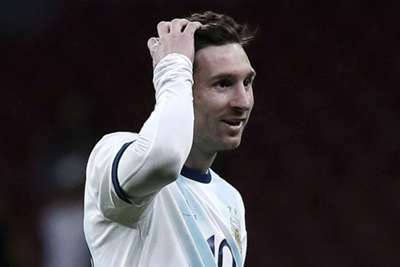 Messi has often been criticised for failing to replicate his club form as Argentina have lost a series of major finals but Valdano, who won the 1986 World Cup alongside the likes of Diego Maradona, feels too much blame is laid at the forward's door. "What Argentina needs to improve are those around Messi, not Messi," Valdano told Onda Cero. "They still expect Messi to do everything on his own that the whole team should be doing. "Piling responsibility on the best player to resolve everything all of the time doesn't seem the best way of doing things to me."